Perhaps buoyed by past successes in the genre -- “Signal” and “Tunnel,” for example -- CJ E&M’s OCN network is to air yet another time travel series in “Life on Mars,” a remake of the popular British BBC production of the same name that aired 2006-2007. The upcoming Saturday-Sunday series features a detective who travels back in time to 1988. While he had been a cool-headed detective who relied on facts and evidence, he learns to use his instincts to tackle cases. “The original series is actually the root of the time travel genre,” director Lee Jung-hyo said at a media event Tuesday in western Seoul. He was aware that time travel has become an oft-used narrative instrument, which viewers could be tiring of. “I myself thought ‘time travel again?’ when I was offered the series. But this one is more about the protagonist finding his identity in a space between reality and dream,” he said. This is Lee’s second remake series. “The Good Wife,” a Korean adaptation of the popular US drama series, was well received by local viewers in 2016. In producing such adaptions, Lee focuses on following the Korean actors’ emotions. “The flow of the script is important, too. But we have to make viewers understand why the actors feel and react in certain ways,” Lee said. Cast members were often amazed when they arrived at the locales to shoot. Most of the series has been shot in Busan, in places where time seem to have stopped since the 1980s. As director Lee is from Busan, he knows the area well. 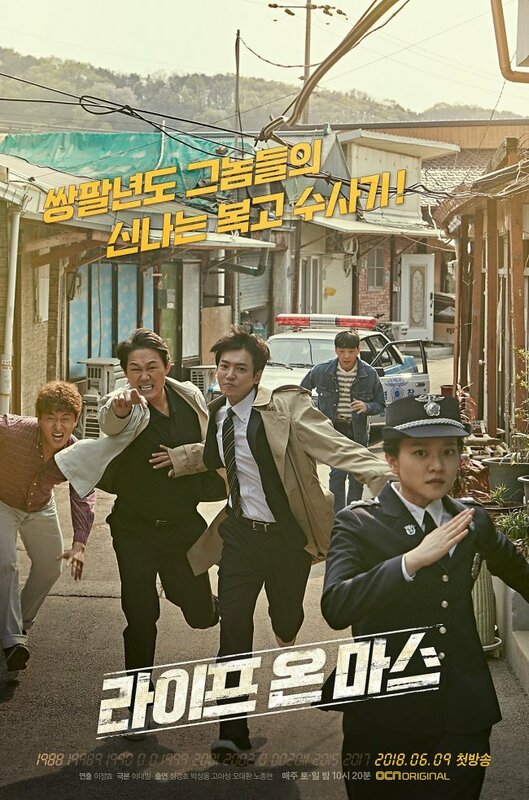 Jung Kyung-ho plays the time-traveling detective. He took the role without reading the script, as he had worked with the director on JTBC series “Heartless City” in 2013. “I now have learned the lesson that I should always read the script,” he said. Jung is going through a tight shooting schedule as he appears in every scene in the series. The “violent character” who pummels Jung is played by veteran Park Sung-woong. Park gained 10 kilograms to play the detective in 1988 relying on instinct. The 16-part series will air its first episode Saturday at 10:20 p.m.